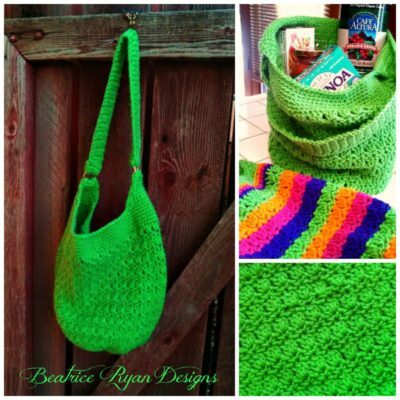 One can never have enough crochet handbags around the home… they are great for storing items in a closet, and are always handy to have for going out. 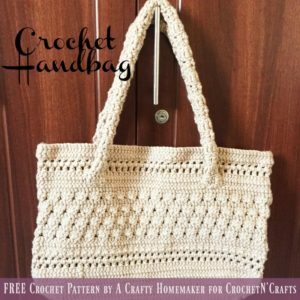 The great thing about crocheted bags is that they are inexpensive, yet can be just as stylish as any other bag on the market. And they are durable too if you line them with a suitable material. And no, you don’t need to be an expert at sewing… here is a tutorial that you can use to line any sized bag. 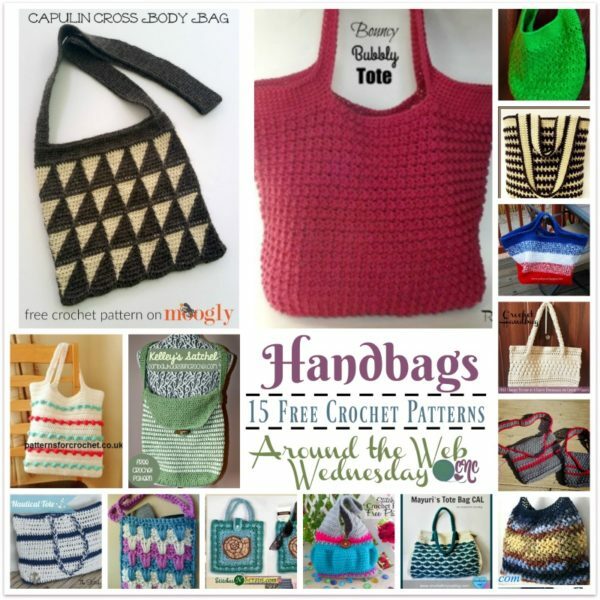 Click the images for the free patterns. 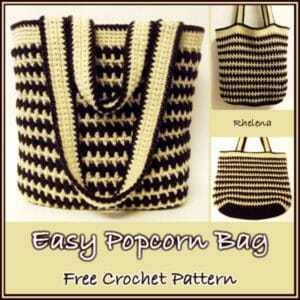 This bag has a lovely texture that you’ll to have in all colors to match your outfits and the seasons of the year. It makes for a nice handbag, a book bag, or for anything else you like. Designed for the office, this satchel bag is perfect for files, books or anything you carry in your everyday purse. 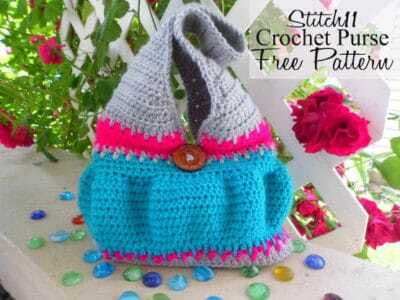 Plus, you have the option to crochet an extra strong bottom for this bag. 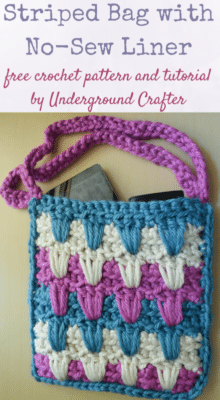 My favorite thing about this bag is the zig-zag texture of the stitches. It looks hard, but a quick look at the photo tutorial helps you to see that it’s actually quite easy. And you can always watch the video tutorial as well. 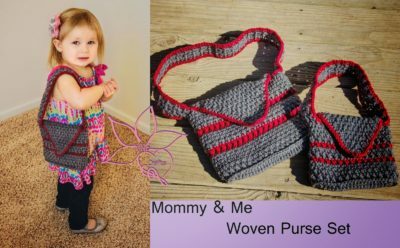 If you have a little girl, then you (and her) will enjoy this pretty bag set. It’s great for your shopping trips, and it’ll make her feel like a big girl. It doesn’t get any more precious than that. This bag is just the right size for your basic necessities. And it comes with a link to a tutorial for a unique no-sew liner. 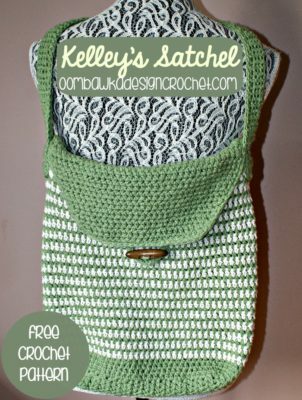 It’s a clever idea, and perfect for small bags such as this, but could also be used for larger bags. If texture is what you’re looking for, then this is it. And it’s a mindless pattern once you get going on it. And if style is what you need, then this is it! 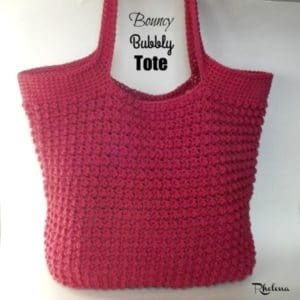 Not only does it feature a nice two-toned look, but you can crochet this in any two colors to match you. This is a CAL, and the link here takes you to the main index page. 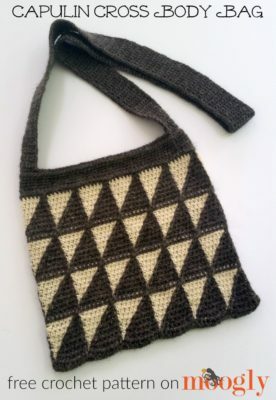 The beautiful triangles are worked into this bag using the Tapestry crochet technique. It’s a bit more time consuming, but as you can see, it’s well worth it. And once done, you have a bag to last you for many years to come. I love the slightly ruffled look around the body of this bag. The bag is on the smaller side, but perfect for basic necessities and a few other things as well. 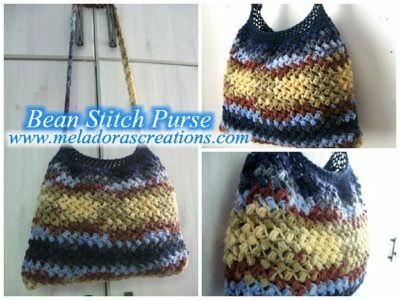 This bag features a few rounds with raised textured stitches. I love the different colors, and it’s a nice way to use up a few odds and ends in the stash. It’s not to late to whip this one up for this summer. 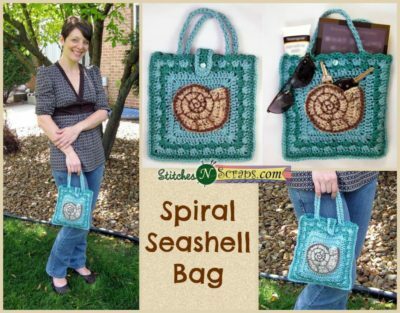 It’s perfect for the summer, but what’s really cool is the seashell is not only decorative, but it’s also a cool pocket for you to store your keys. And here is another bag that has summer written all over it. And it only takes a few hours to make. 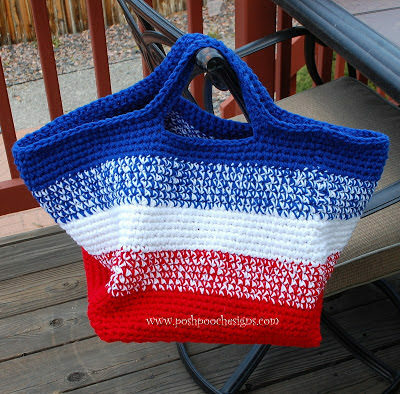 Shown in patriotic colors, this bag will look great in any three colors. 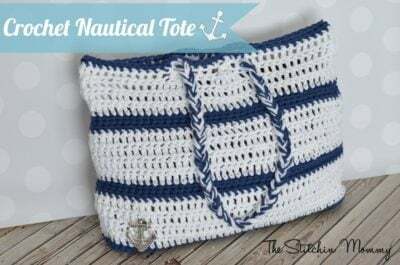 It is crocheted with two strands, meaning it’s not only nice and sturdy, but it also gives you lots of options for combining colors. 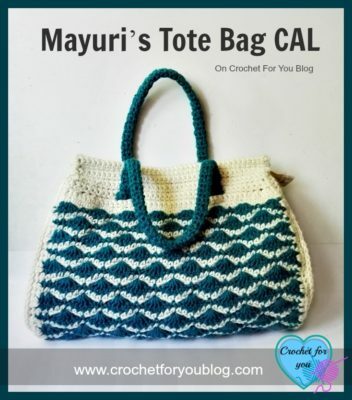 Crochet this in a solid color, or in pretty stripes to match your taste in fashion. Either way, the pretty textures will look great and compliment any outfit in your closet. This roomy bag is perfect for your everyday needs. Line it with a sturdy material, and you have yourself a nice book bag. 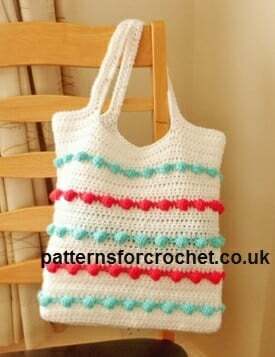 For even more crochet bag patterns visit Crochet Pattern Bonanza.